Murren, an unspoilt, historical, large ski resort is an ancient mountain village which has a longer history as a ski resort than almost any other. This car-free village high altitude location makes it both snowsure and provide it with some of the most jaw-droppingly stunning views. 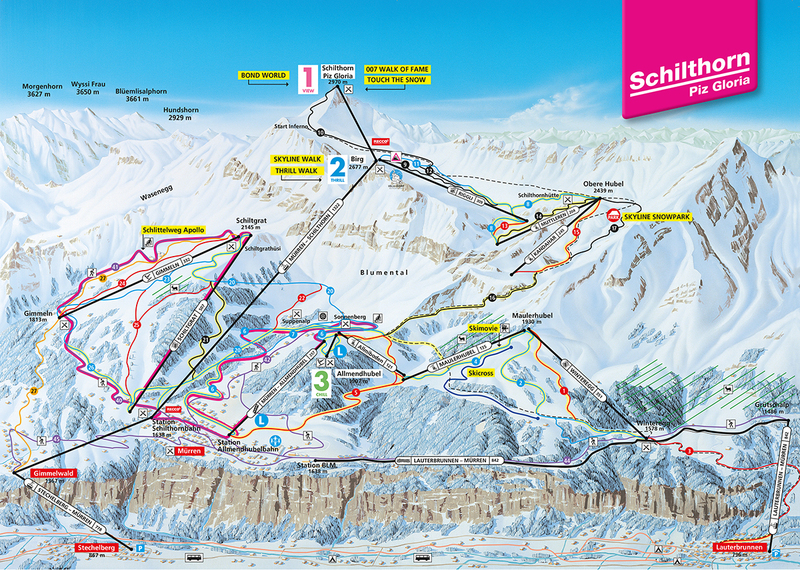 With 16 lifts which offer skiers an incredible 2175 metres of vertical descent. Murren has 26 pistes. Murren is best suited for intermediate skiers and snowboarders but there is a also a lot of terrain for beginners and experts too. There are 2 kilometers of cross country ski trails at Murren. For snowboarders, there is a half pipe. Almost half the pistes are now covered by snowmaking and more equipment is was installed last year. The nearest airport is Bern. The other airports which provide easy access are Basel, Geneva and Zurich. All offer efficient train and bus services to Murren. The railway station at Murren is called Murren BLM. Access after 2030hrs in the winter is via the cable car at Stechelberg which operates until 2345.